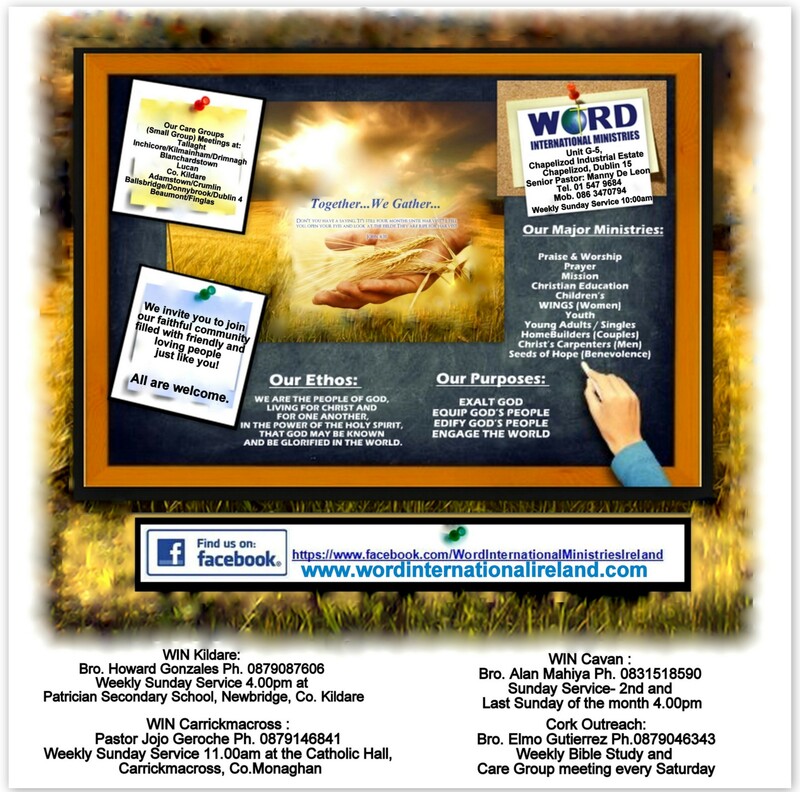 WORD International Ministries Ireland (WIN-Ireland) is a Christian Church in Dublin City. 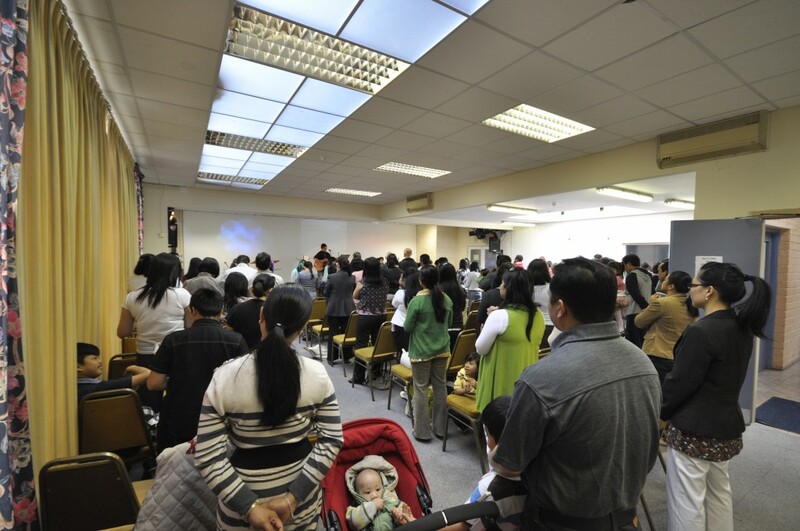 It is a predominantly Filipino church with Irish and other European nationals. 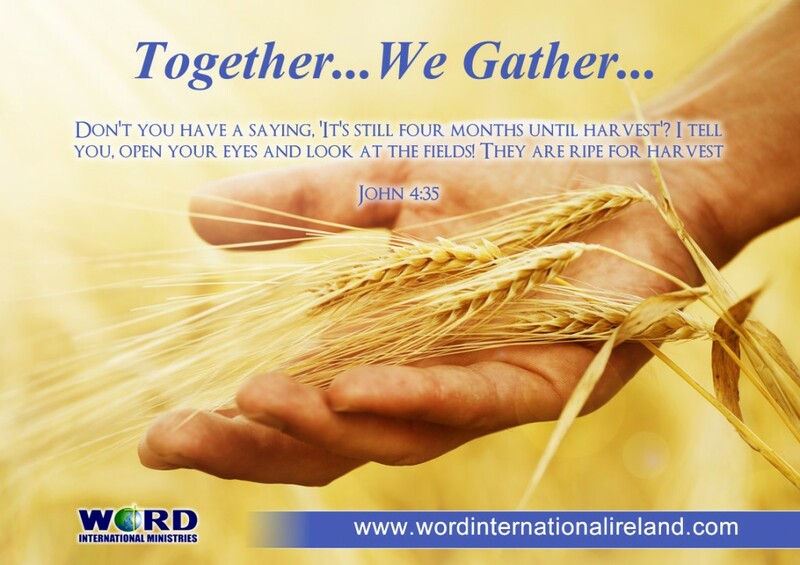 Our regular English Morning Worship Service is open to all and held every Sunday at Unit G-5 Chapelizod Industrial Park in Dublin 20, from 10:00am to 12:00pm. We engage in Children’s Church (or Sunday School classes) for Pre-school, Primary and Middlers. WIN-Carrickmacross in Carrickmacross, Co. Monaghan. Morning worship service held every Sunday from 11:00am-1:00pm. WIN-Cavan in Moynehall Cavan Town, Co. Cavan. Afternoon service held every Sunday from 11:00am-1:00pm. WIN-Kildare in Newbridge, Co. Kildare. Afternoon service held every Sunday from 10:00am-12:00pm. Shortcut link to the Sunday Worship Service Live Video Streaming. This is a password secured section. Shortcut link to the Sunday Worship Service Video Archives. This is a password secured section.